Your goal should be long-term change of your lifestyle. Which means that nutrition and changing your eating habits is one of the aspects you need to touch. Long-term change of lifestyle consists of several areas you need to work on. Our experience showed us that 50% is your mental and psychological aspect which goes deep in your past behavioural patterns and habits. And if you are able to change those you are half way to your long-lasting lifestyle change. 40% contribute healthy eating habits, which means that you are not here for a short run but a long run. That’s why we don’t want you to think of nuMe nutrition plan as a diet but a lifestyle, which helps you adopt a habit of eating 6 small portions a day. Physical activity is last 10% which contributes to your feel good mode, sculpting and shaping your body and critical areas you want to target and improve muscular and cardio respiratory fitness, improve bone and functional health, reduce the risk of hypertension, coronary heart disease, stroke, diabetes, breast and colon cancer and depression. 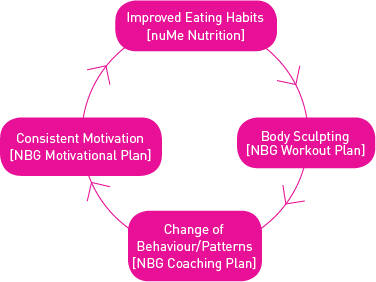 nuMe nutrition plan is a part of our nuMe 360° concept which also includes so called NBG (nuMe Body Guide) which covers 3 very important components: NBG Workout Plan, NBG Coaching Plan and NBG Motivation Plan. VLCD stands for Very Low Calorie Diet. A Nutritional plan that is higly effective and clinically proven in more than 50 clinical studies. The nuMe nutrition plan, consisting of 6 nuMe meals per day from nuMe Slim Shakes, Soups and Bars with Collagen, is a VLCD. Legislation in the field of VLCDs is very strict and ensures that users of these nutrition plans are guaranteed to receive 100% of the vitamins, minerals and nutrients your body needs in a daily nutrition plan and with a minimum of calories. By law, a VLCD may contain between 450 and 800 calories per day. You are able to keep your blood sugar stable by regularly eating a nuMe meals and you get 100% of the vitamins, minerals and nutrients that your body needs for healthy, effective and safe weight loss. With 6 portions a day you are transforming your eating habits so that your body gets used to 6 small portions a day as a long-term habit. 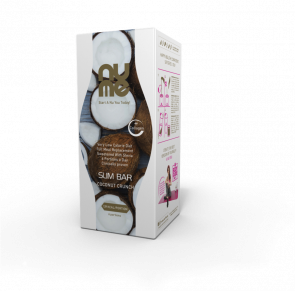 nuMe Slim Shake, Slim Soups and Slim Bars with Collagen is innovative nutritional and beauty solution specially designed to help you cope with moderate and severe weight problems. Designed for contemporary women striving to make complete transformation. Packed with all vitamins, minerals and other essential nutrients your body needs to support healthy weight loss, it can be used as the sole source of food in a very low calorie diet (<800kcal). 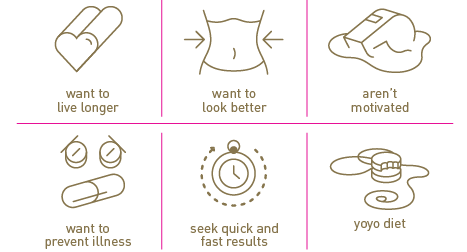 Developed by doctor, personal trainer and nutritionist to promote both health and beauty, nuMe Slim Shake, Slim Soups and Slim Bars with Collagen combine efficient weight loss with focus on long-term change of eating habits and comforting indulgence of great taste and satiety, making it a perfect choice for modern women. A daily menu of 6 smaller portions helps you adapt to a completely new way of eating and shrinks your stomach, so nuMe Slim Food with Collagen changes your eating habits for good. Added collagen increases skin elasticity and firmness during the diet to prevent loose, saggy skin. Whenever you decide to go back to a more traditional diet, you will find it easier to limit your meals and maintain healthy weight. With its high nutritional value, low calorie count, no added sugar and enough protein to help you maintain your muscle mass, nuMe Slim Food with Collagen can replace all your daily meals, paving your way to a nu – slimmer, healthier and happier – you. nuMe Slim Shake, Soups and Bars with Collagen can be used by everybody who want to lose excessive weight and enjoy a healthier lifestyle. nuMe Nutrition Plan in a very low calorie diet (VLCD < 800 kcal) as a sole source of food is not recommended for children, young people, elderly people, pregnant women and people allergic to soy or milk. 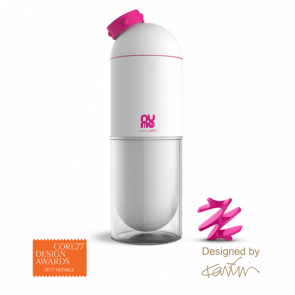 All you need for a tasty shake or soup is one serving of nuMe Slim Shake/Soup with Collagen mixed with 250-300ml of water in a stylish nuMe shaker/water bottle. 6 servings ensure that your daily nutritional needs in a VLCD (very low calorie diet) are fully met. How to set and achieve your goals for 2018?